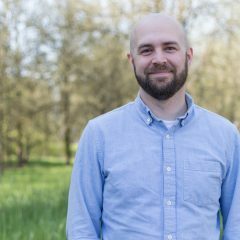 Jonathan Brewer joined our staff team July 1, 2017. Jon and his family have returned to the Northwest after finishing his Master of Divinity at Princeton Theological Seminary in New Jersey. After growing up in Sammamish, WA, he went to complete his BA in Cross-Cultural Studies at Whitworth University in Spokane, WA. He and his wife, Valerie, have three young children. Jon enjoys playing with his kids, playing basketball and frisbee, and getting out in God’s beautiful creation.